Home, Door and Window Products has been providing outstanding steel doors to the Greater Detroit Metro Area for over 30 years. 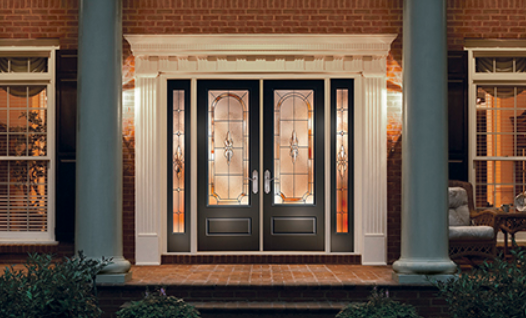 Home and Door is considered the place to go for steel entry doors, steel front doors, and steel exterior doors. We can also create a one of a kind steel door for your home or office. We have a fabulous team of experts that know how to help you find the steel door you have been looking for. We have Therma-Tru doors which are the best steel doors on the market. Our customers in Rochester Hills always picks Home and Door as their first choice when purchasing new steel doors. Rochester Hills is situated in the east-central portion of Oakland County, Michigan with a population of approximately 70,000. Rochester Hills is indeed the jewel of Oakland County. Home and Door is one of the leaders in the steel door industry providing top steel exterior doors and superior quality service to our customers in Rochester Hills. Home and Door has proudly served over 150,000 satisfied customers. Our Rochester Hills customers know that when they purchase a steel front door from Home and Door that they will receive an outstanding product! Home and Door has a large variety of Therma-Tru steel doors on display in our gorgeous showroom in Berkley, Michigan. We have a qualified sales team available to help you select the right steel door. Home and Door’s professionals are extremely knowledgeable on the latest technology, so you will be guaranteed to receive the best product. If you want to enhance your curb appeal come to check out our new inventory of steel doors, you won’t be disappointed! Free in-home estimates are available, call Home, Door and Window Products today at (248) 399-9900!